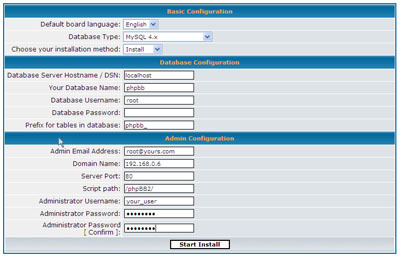 To setup a phpBB website, the easist way is to install a RaidenHTTPD (PHP4 or PHP5 version) first, and You also need to have a MySQL 4 or MySQL 5 server installed. 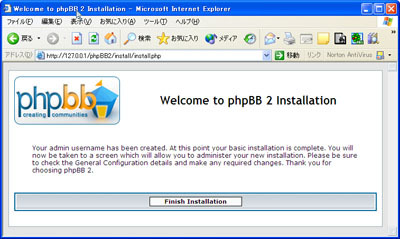 After You set these 2 things up, You are ready to install phpBB. It is strongly recommended that you download ZIP package version. For example, if your web document root directory is c:\inetpub, extract the zip package to c:\inetpub\phpBB2. 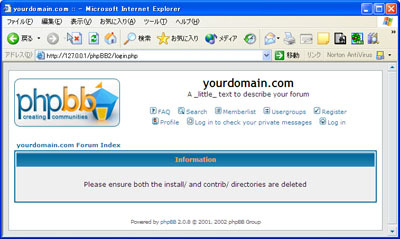 You should look at the screen and correspondingly enter information for db, database, user, and password. Click 'Start install'. 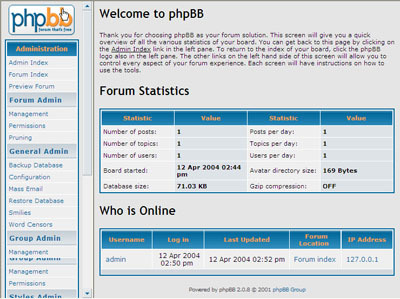 Please delete two directories under your phpBB2 directory for security reason. 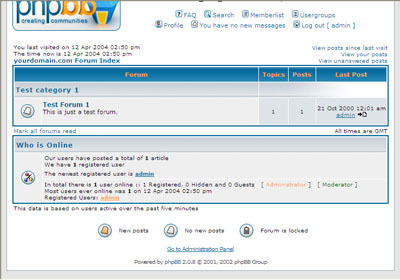 Now, login with the admin account that you just created in the first screen. Now, scroll to the end of the screen and click on 'Go to Administration Panel'. After you enter the administration panel, you will see a lot of administration tools on the left-hand side. You may do some final settings and then tell a friend to visit your site.